Plaques here in Gloucester, Mass. 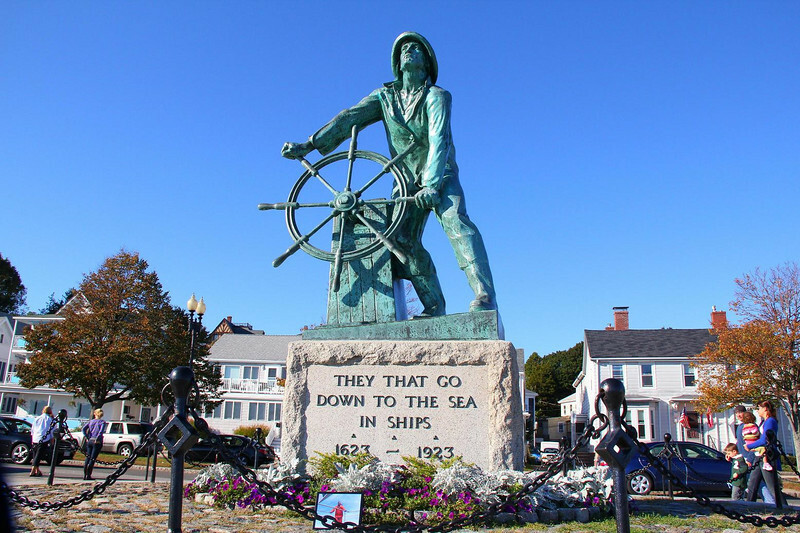 show that in the 300 years after 1623, 5300 seamen were lost to the sea in accidents and storms. Incredibly, 3880 of them died in the 47 year span of 1860 and 1906. Bronze plaques around the statue hold the names of every one of them and the year they were lost.